Penny for your thoughts, sheep? There are some places you visit that you hope to goodness you will get the chance to return to… one day. For me, the Faroe Islands falls firmly into this category. The tiny archipelago, located in-between Iceland and Scotland only receives 40 odd-thousand visitors a year (compared to neighbouring Iceland, which continues to surge in popularity). This is a number that’s set to rise, as the world becomes smaller and the remotest of places become more and more accessible. I left with many thoughts and emotions. One thing was for certain. 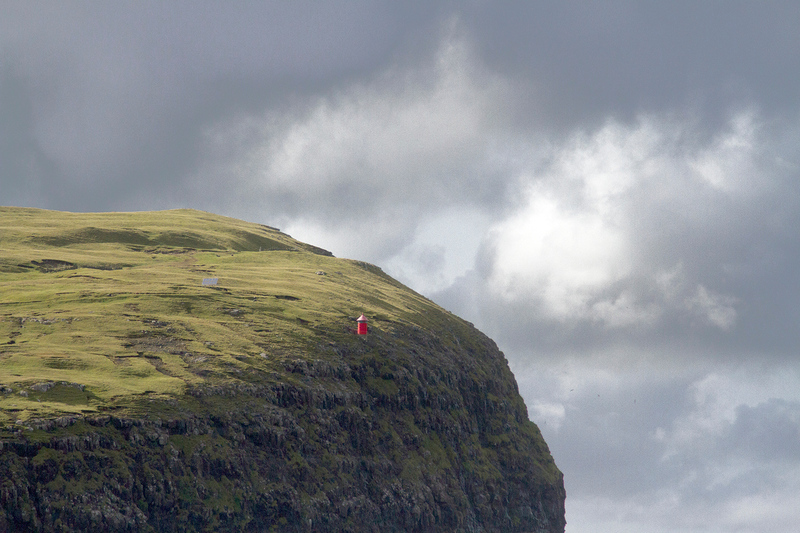 Four days wasn’t enough time to spend in the Faroe Islands. We based ourselves in Tórshavn (tor-shawn), the teeny tiny capital, in an AirBnB run by a very lovely local couple. We were even invited into their house for a glass of wine – that’s the first time that’s ever happened to me, in the entire time I’ve used the service! 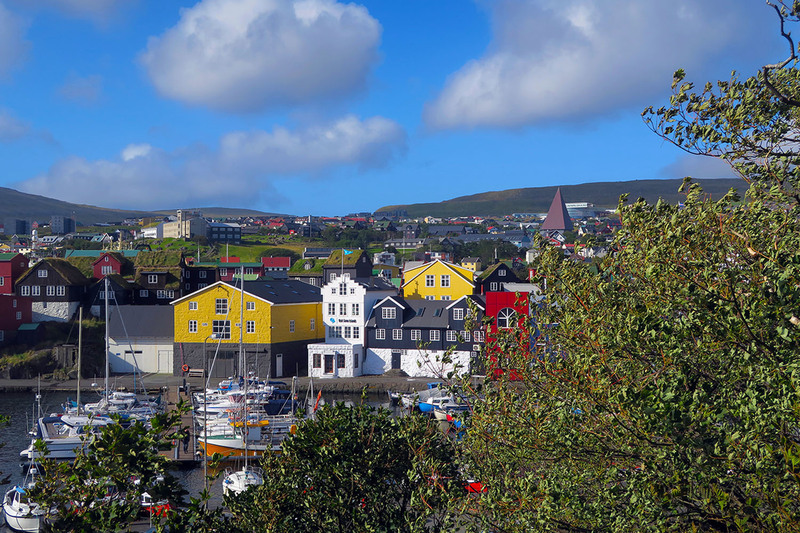 Tórshavn, the capital of the Faroe Islands. 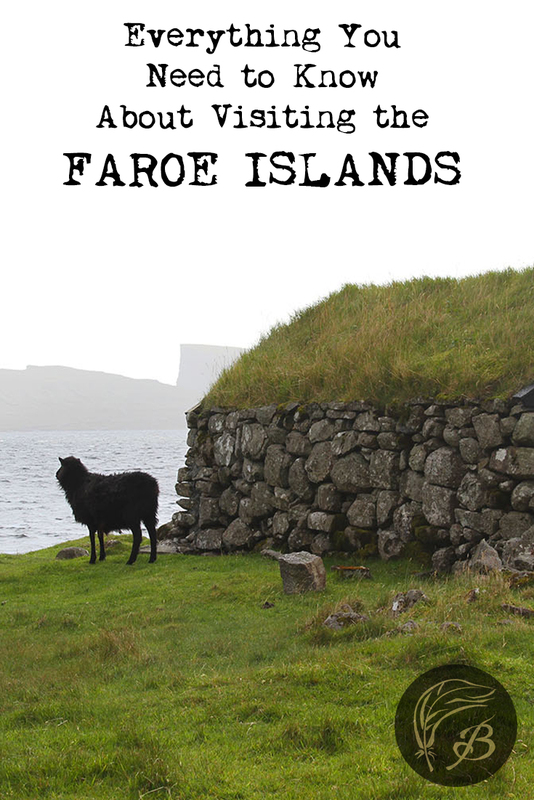 Luckily, I’ve put together this Faroe Islands travel guide. Here are a few factors that are worth knowing in advance. Vágar Airport is not the most well-connected airport in the world, but it’s not the worst to get to. You can fly directly there via Atlantic Airways from both Edinburgh, Scotland and Copenhagen, Denmark. I’d advise spending a few days chilling in either city before or after your visit because… why not? They’re both excellent cities in their own right. Even Vágar Airport feels pretty rural. My original plan was to spend three days in Edinburgh before flying on, travelling up there on the train from London. This plan got upended by a last minute trip to Kyrgyzstan. It made for a tiring trip onto the Faroes but… stuff happens. 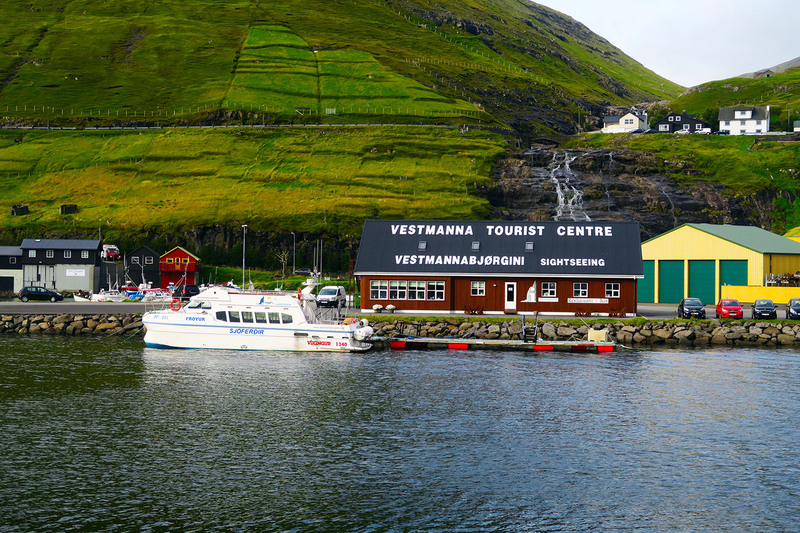 You also have the option to travel to the Faroes by boat, on a route that travels between Iceland and Denmark. That would be an experience for sure. 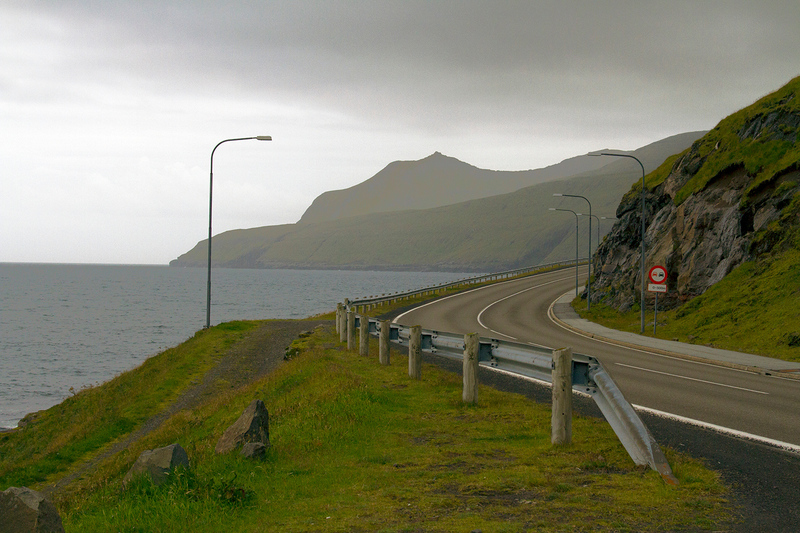 Getting around the Faroes is fairly easy, so long as you have a car. The population of entire archipelago in 2016 was only 48,000, with some villages numbering into only the double digits. This place is about as remote as you can get. So, it makes sense that public transport is not really readily available. Most people get to and fro in the country via car, which is the option you’re probably going to have to take as well. Unless, of course, you really like walking super long distances. The islands are known for their great hikes, after all! 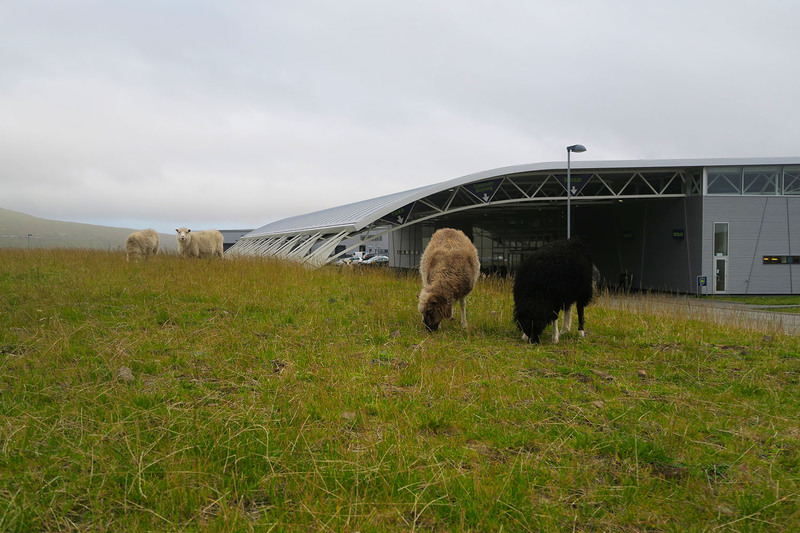 You can catch a taxi or the airport shuttle from Vágar to Tórshavn but you’re probably better off renting a car from the airport. Use it for your adventures around the islands and drop it back at the airport when you’re done. Easy. I’m sure you could visit the Faroe Islands whilst on a very tight budget. You could eat food only from supermarkets, stay in the cheapest hotels, try your hand at hitching rides and cap your activities at hiking and not much else. The one question I ask is – why on earth would you want to do that? 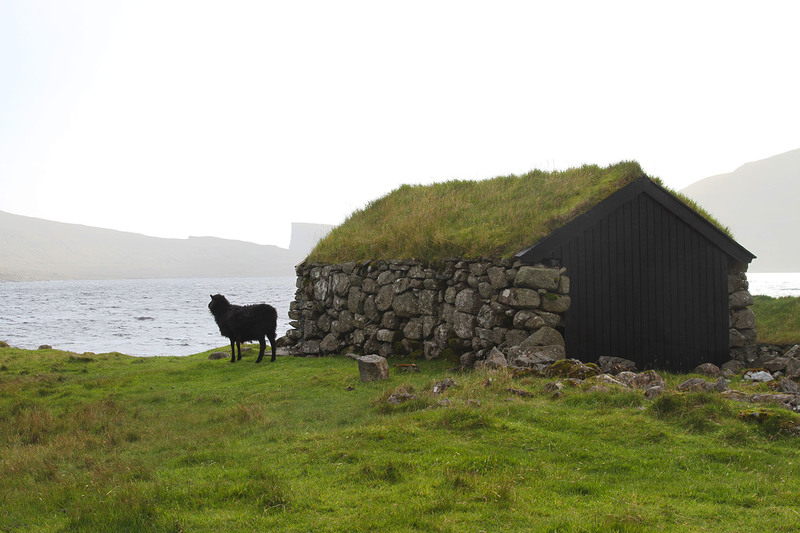 Like most Nordic countries, the Faroes are not necessarily what you’d describe as being cheap. You can spend a bit of money, or you can spend a lot. I chose to not hold back. I did all the activities I wanted (and was able) to do. I ate where I wished and my tastebuds were grateful for the experience (the food in this country is good). Peak season for visiting the Faroe Islands is during the summer months and I implore you to go during this season, if you’re at all able to. Why is this? Simply due to the fact that you’ll miss out on some stellar experiences if you choose to go at any other point in the year. This includes, in no specific order (joking, I’ve ordered them depending on how disappointed I was over missing out on doing these things). I’ve wanted to see puffins my entire life but APPARENTLY NOT ENOUGH as I keep going to countries like the Faroes and Iceland, shortly after these weird and whacky seabirds have departed for the season. Mykines is completely inundated with the seabirds in the summer months, so you’ll be hard-pressed to miss them. Think of me, please. On the upside, the picturesque village of Gásadular is accessible all year round. There’s a bit of a bird theme going on here (well, look at the name of this blog and you’ll understand why). We didn’t get to do this even in September. I was rather gutted as it is home to the very cute Kallur Lighthouse, as well as the Seal Woman statue, which is supposedly quite beautiful to look at. There are far less chances to book helicopter and ferry rides around the island. Plus, they’re subject to cancel at bad weather, which usually comes part and parcel with winter. Dinner is served at Kok’s Restaurant. I could rave on about the food in the Faroes, until I was blue in the face. 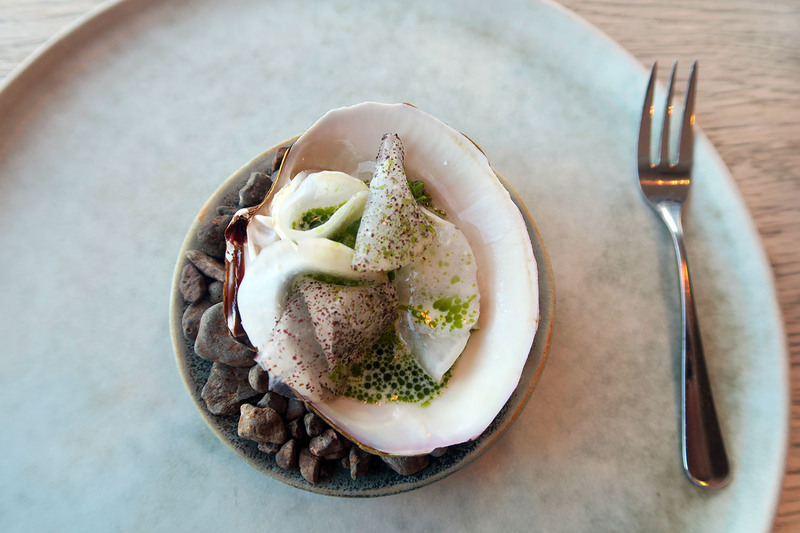 We didn’t hold back when it came to dinner time, even taking in a meal at the acclaimed Koks restaurant just outside of Tórshavn. Watching the sunset over the ocean was almost as good as eating the food. Almost, but not quite, believe it or not. I had to make a difficult decision during my time in the Faroes – whether I should or shouldn’t invest in a jumper from Guðrun & Guðrun. If you’ve watched The Killing (the Danish version) you’ll know what I’m talking about. The fabulous jumper Sarah Lund wears in the pilot episode? That’s made by Guðrun & Guðrun. The Faroese brand exploded into popularity shortly after The Killing first aired, with fans coveting their very own Lund jumper. After much deliberation, I ended up buying a very lovely and very pricey jumper made out of alpaca wool. Wearing it is like wearing a cloud. Risin og Kellingin stacks look out towards Iceland. 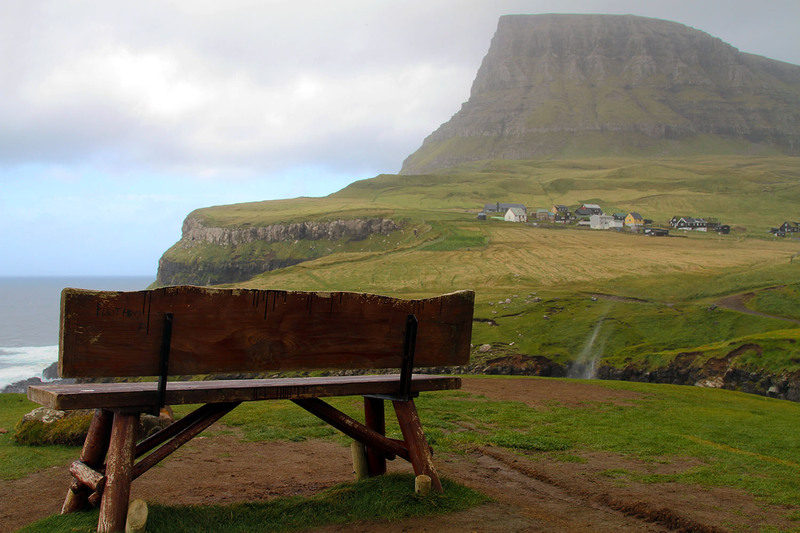 The Faroe Islands feature some of the most spectacular hikes you’ll ever come across, when travelling the world. We didn’t do much hiking – it was raining pretty much our entire time there and I’m not exactly at peak physical fitness these days. There are a range of hikes available from beginners to the more experienced. If you have a tendency to get worn out fairly quickly, I’d recommend at least journeying out to Slættaratindur. It’s the highest peak in the Faroe Islands and it’s said that you can see all the way to Iceland on a clear day. 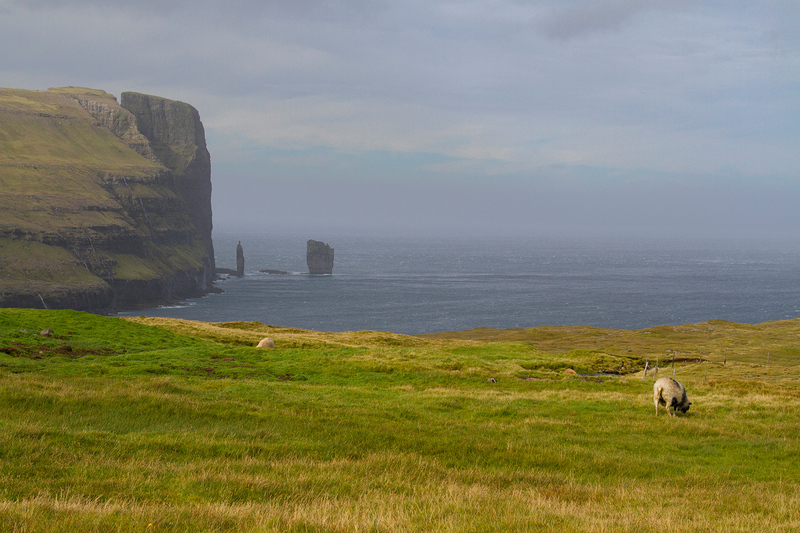 For a more challenging hike, you could opt to do the old route of Bøur to the small village of Gásadalur. It was one of the most isolated villages in the island, until a tunnel connected it to the rest of the island in 2004. 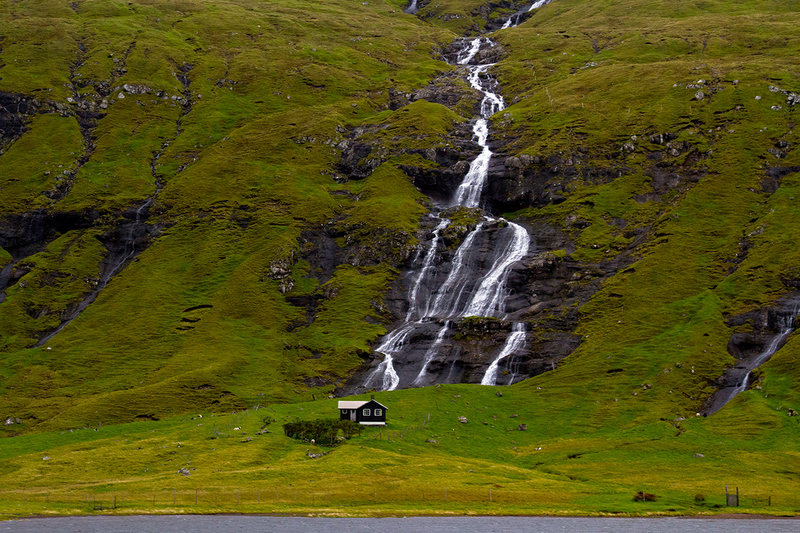 It’s now one of the most famous sights on the Faroes, due to the nearby waterfall that flows straight on into the sea. How’s that for a backyard water feature? I thought Iceland had amazing waterfalls. Not that it doesn’t. Yet there were waterfalls in the Faroes everywhere I looked. It was just a little bit pretty. How many days to spend in the Faroe Islands? I spent three. I would have liked to spend a bit longer, but hey – it’s not the cheapest place to visit. Worth it, though. Well, I’ve convinced myself that I’ll have to go back, someday. Question is – have I convinced you? Have you been to the Faroe Islands? Were you as enamoured with the place as I was? Find this post helpful? Don’t forget to pin it! Ever since then the idea of visiting stuck to my mind, I’m already imagining taking the ferry from Copenhagen 🙂 The only thing that is holding me back at the moment are the costs. While I’m pretty sure that I somehow could turn the whole thing into a budget trip, it would of course be much nicer not having to track every penny you spend! You’re definitely not the only one. When I told people I was going there they’d either be like “oh!” or “where?!”. I would honestly go when you’re a little more flush with cash. The Nordics aren’t cheap and it would be a shame to miss out on things! Sounds and looks amazing, what is the weather like in the summer? Seems like the winter wind and rain is just adding to the magic of the place in your pictures! Not exactly “warm”! Thank you darling. The average summer temp is 13°C, so colder than a Sydney winter! How much rain is there in summer compared to when you were there? I’d hate to miss out on the waterfalls at their best, or the beautifull fields at their greenest! Thanks for the compliments! It’s a fantastic place. Looks super peaceful & calming! 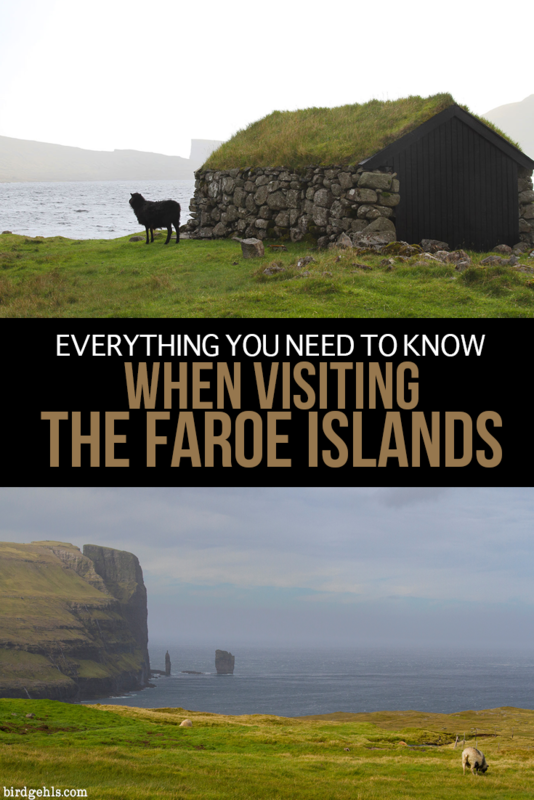 I haven’t been to Scotland or Iceland before, but definitely putting Faroe on my list to see! Well if you ever go to either, maybe you can drop in on the way! WHAT A FIND! Sadly had no clue whatsoever about the islands and the good thing is I got the chance to read your blog and found out about it. The place look breathtakingly beautiful and yes I expect it to be on the expensive side but then as you said you’ve got to spend a little to enjoy. I’m a big foodie and glad to know that the food didn’t disappoint. Definitely a place I would love to visit. Oh my goodness, the food is amazing! That’s okay, I think a lot of people haven’t heard about them. They are worth a visit. how beautiful. I went to Iceland and felt the same way you feel about the Faroes but someone recently told me that if I wanted even more of a “remote” pure feel then I should go to the Faroe’s. So it is definitely on my list to hit up when I visit Ireland/Scotland next year. I am glad you loved the food because I was wondering how good it was. I was rather disappointed in Iceland’s overall fair! I am crazy about Iceland, but the Faroes are somewhere special. Reminded me a lot of the Westfjords (not sure if you’ve been there, but it’s magical!). And it’s so conveniently accessible from Scotland. And yeah, all the food was amazing. You should! Hope you manage to get there. What a wonderful hidden gem! I hadn’t ever considered visiting Faroe Islands but I might just add it to my bucket list now. Traveling there by boat must be incredible, and will definitely aim to visit in the summer months! Summer is the time to go! I hope to return one day and see the darn puffins, hehe. I can’t believe we never went tough I lived in Scotland for 2 years! It’s one of these things you think you can do anytime because it’s “right there” but you end up not doing. But would love to go for sure! HIking, camping, history, culture, traditions, landscape – it has it all! One of these days! Truly wonderful place! I have never been thought of this place and never been to any island 🙁 We are planning a family trip in Feb 2017. But how would be the weather there? I just want to that place where I can relax & wish to experience real beauty of nature. This is the perfect place for me. I hope will visit soon. Thanks for sharing. Great article, Laura ? I’ve anyways wanted to visit the Faroe Islands after learning about them and reading your post just made me want to visit even more, hopefully in the new year! I’ll definitely be coming back to your tips when we make it there! Thanks again for a great read. Faroe Islands looks so beautiful that we are adding it to our list for the next year. I fell in love with the cute lighthouse against the shoreline. Are there many castles around?? I didn’t see any castles, but the parliament buildings in Tórshavn are some of the oldest in the world (date back to the 800s). Another place I need to add to my travel to do list. Thanks for writing and the great pics. What an informative post with great pics! Thank you! I will definitely be adding this locale to my list now. It looks and sounds amazing! I’m the same as Doro, I haven’t heard about the Faroe Islands until a year or two ago – but I’ve wanted to go there ever since! Just like Iceland, it must be GORGEOUS – so both of them are at the top of my bucket list now. 🙂 Thanks for all the tips, Laura! Iceland’s one of my favourite countries in the world and the Faroes reminded me so much of the Westfjords. Hope you make it to both someday soon. I think you could easily budget for it if you’re super into outdoor activities. I would at least splurge on one meal, even if it’s not at KOKS. The food is amazing. 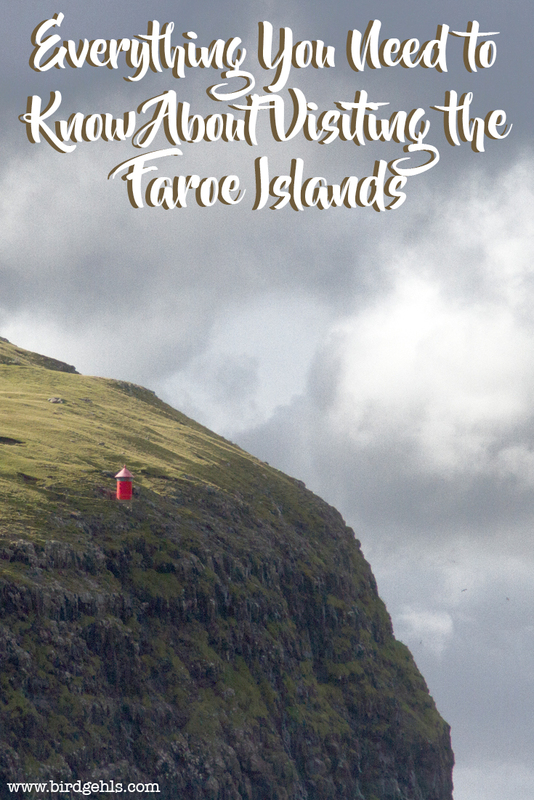 The Faroes have been on my bucket list for a really long time so I’m hoping to finally visit the islands next year. Really glad to have come across your post – pinned for a future reference! Your point about not sticking to a tight budget while there makes sense, it’s not a destination where you just randomly end up and it surely is a place you plan to visit… And yes, I’ll be buying that Lund jumper as well! 😀 Thanks for the post! Glad the post was helpful – I hope you make it there! I don’t regret my jumper at all. I had to take an extra shift at work to pay it off, but it was totally worth it! Wow! Didn’t think Faroe Islands could be a great destination to go! If I really have the opportunity to go, why not! The place is well-justified based on your pictures, Laura! 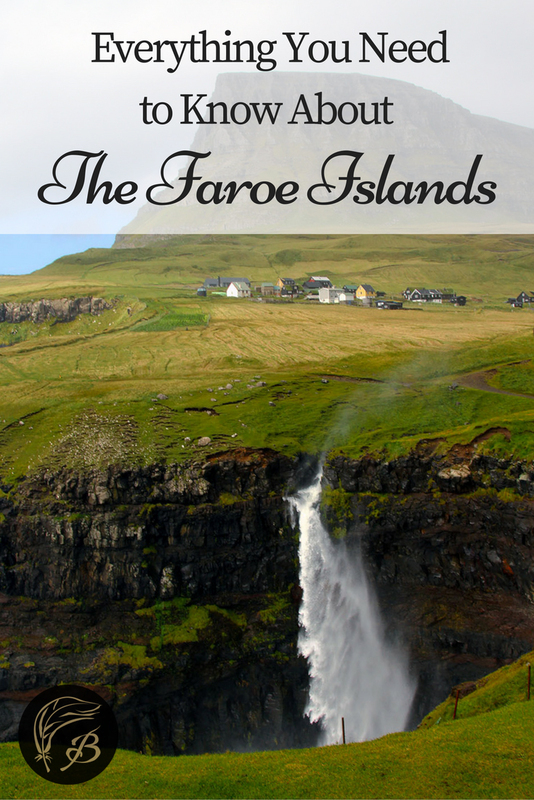 I was just in awe while reading about The Faroes! Glad you enjoyed it. ? Ive always wanted to visit the Faroe islands! They look so beautiful! The Faroe Islands look like a place like no other. It looks so beautiful and also really peaceful. Thanks for your tips on planning a trip, you’ve just reminded me that it’s a place I should definitely visit. It’s ethereally beautiful – I really loved it. Hope you make it there one day! Hi Laura. Great article! I just found out about the islands earlier this year while scrolling across Google maps. Seeing the little dotted islands between Iceland and Norway peaked my curiosity and when I researched more, I was amazed. I have my flights booked to the islands for this August. 🙂 Would you say this is a good time of year to visit or do you think the weather will keep me from seeing a lot? Sounds like there is still plenty to do year-round. I thought of a few more questions: Do you recommend booking your rental car ahead of time? Would you stay in different places throughout your stay, or book one Airbnb and just drive around? Hello Allison. That’s funny – I do the exact same thing! I think August should be a good time to go. I was there in mid-September and that was definitely the tail end of the summer season, so you’ve probably picked the perfect time. Definitely wrap up – it gets windy and cold there. I recommend booking a car in advance, that’s just something I like doing regardless of where I go, as it often ends up being cheaper. It’s extremely hard to get around the islands without your own transport, but the roads are great. I stayed in Tórshavn, the capital and just drove around each day. It never really took that long to get anywhere. Two things I didn’t get to do that may be of interest to you: the ferry to Mykines, where you can see puffins at the right time of the year (they may still be there in August. Not sure). I also wish I’d been able to journey out to Mikladalur to see the selkie statue. If you like food, KOKS restaurant is the number two meal I’ve had anywhere in the world. I also bought a lovely jumper from Guðrun & Guðrun in Tórshavn (they made the sweater worn by Sarah Lund in the Danish version of The Killing) and it’s made for a darn good souvenir. Have an excellent time! I’m excited for you.